Santander Consumer USA (SCUSA) provides the best online experience to prospective car buyers doing vehicle research on the Web, according to a “mystery shopping” exercise conducted by Auto Finance News (AFN) and reported in its Fall 2013 edition. That experience includes both online and mobile devices, according to AFN, which named SCUSA as the No. 1 among the top 20 largest auto lenders ranked by the 2013 Big Wheels Report. “Consumers are increasingly taking their vehicle research to the Web, but lenders are seemingly slow to make loan applications available online or via mobile device,” said the AFN report. 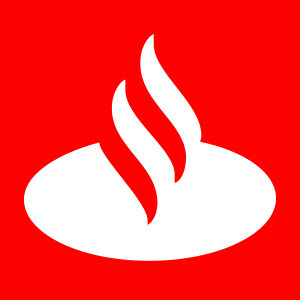 “Web and mobile shopping for auto finance have long been a priority for Santander,” said Bruno Paiva, vice president of Web and mobile marketing for SCUSA. In the mystery shopping exercise, an AFN reporter “posed as a potential car buyer and sought to complete a loan application online and via smartphone.” The reporter then tracked responses from the lenders on speed of the online experience, ease of use, security options and resources. Mobile access and privacy information could boost lenders’ scores, as well, the report said. SCUSA (www.santanderconsumerusa.com) scored nine of a possible 10 points on the survey and was one of only three lenders with an auto finance application available for a mobile device, AFN reported. The others were USAA (www.usaa.com) and Mercedes-Benz Financial Services (www.mbfs.com). “Santander was one of two financiers to offer more than one contact option on the loan application webpage,” according to AFN, the other being USAA. USAA and Ford Motor Credit Company (www.fordcredit.com) tied for second in the ranking with eight points each, while Chase Auto Finance (www.chase.com) ranked fourth with seven points. Five of the top 20 tied for fourth with six points, while three more finished with five points. Four of the lenders tied for last with zero points awarded by the AFN mystery shopper. Santander Consumer USA provides indirect funding to consumers through auto dealers, while its RoadLoans.com business provides direct funding through a total online experience. Chrysler Capital, created from a private label service agreement between SCUSA and Chrysler Group LLC, provides financing for loans and leases for Chrysler Group vehicles.